Sliding doors provide a flexible, attractive, and smooth entrance to a home. Sliding doors make for a smoother entry and exit with no sticking or uneven tracks. Let ClearChoice Windows and Doors enhance your home with the versatility of new sliding doors. Available in a variety of materials, colors and styles, you can easily transform the look of your home through a bold statement that combines both a traditional yet gorgeous design flexibility highlighted by trusted quality. We trust only the top American manufacturers in the industry: Therma-Tru and ProVia. These brands are built on a foundation of delivering exceptional, long-lasting value with products that are built to last. 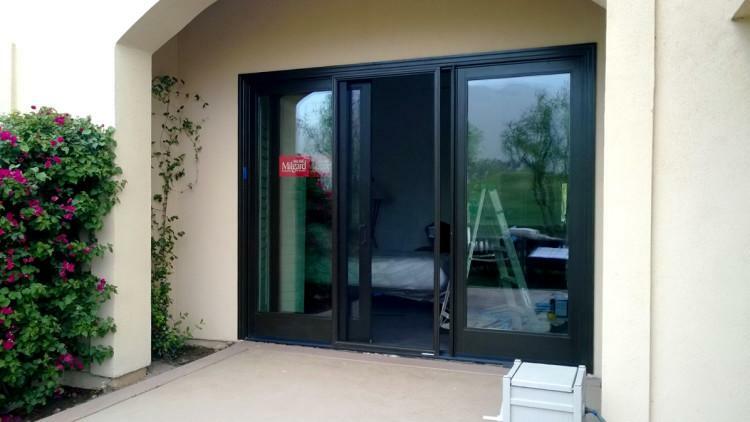 From vinyl to fiberglass to wood, we stand behind the products we sell and install with labor and product warranties for doors in Riverside CA and beyond. Call us at 1-844-224-1112 or contact us online today to schedule your free estimate. We are proud to serve Riverside, Fontana, Rancho Cucamonga, West Covina, El Monte, Corona, Chino, Chino Hills, Baldwin Park, Rialto, and nearby. Why have sliding doors installed? In addition, French Rail Sliding Patio Doors in Ontario CA give the elegance of a French door with the functionality of a sliding door. This versatility is what makes sliding doors so great. Plus, you get the added benefit of energy efficiency so you can keep those rising energy bills at bay. Let ClearChoice help you settle on the perfect complement to your home. Whether your current sliders stick, they won’t close properly, or they’re just plain outdated, it’s time to give your home a modern boost and install new sliding patio doors in Ontario CA. Our own contractors are highly trained in this area and can have your new doors installed in no time. Get your free sliding door estimate in Greater Los Angeles today! Need new sliders to lead out onto your patio? Contact us to discuss your door replacement project and schedule a free estimate in Riverside, Fontana, Rancho Cucamonga, or the surrounding areas.